Solix is the first compact continuous LED light source with an integrated rotatable speedring for attaching traditional mid-sized softboxes up to 4.5 lbs. Designed with powerful high-end LEDs, the Solix's continuous daylight-balanced output eliminates the guesswork in lighting. It's color accurate with a 96 CRI that compliments ambient daylight. A dual-purpose dial controls both power and dimming up to 2,125 lux at 1 meter. 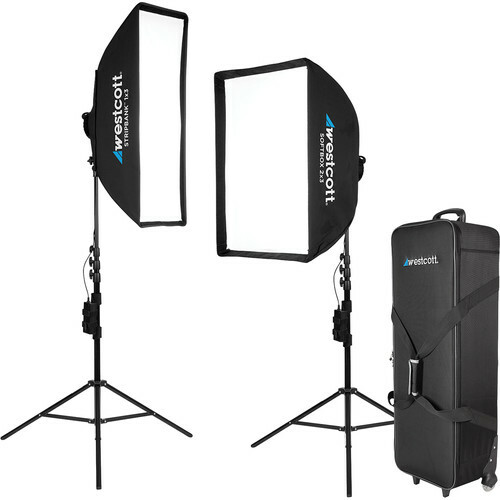 The built-in tilter bracket allows for quick positioning and umbrella mounting. . . . .